This is an old article which has not been maintained. If you haven't ever seen an LCD panel then I truly encourage you to step into the real world. LCD panels are found in calculators, digital watches, printers, mobiles, flat screen monitors.... EVERYWHERE. How do they work? Well, again, google is your friend here because I'm not here to explain the world to you. Sorry, if that's what you were expecting. 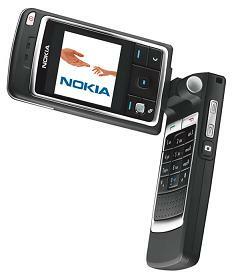 Here is an LCD panel in a very awesome-looking Nokia brand phone. Oh my.. I apologize for the poor picture quality. Anyway, take a little step back in time, as I'm not using something like the LCD screen in that phone. The lecturers at CDU were throwing stuff out and they gave me this 2x40 character LCD screen, because they didn't know if it worked or not. It must have been torn off an old laser printer because bits of the printer were still in the box they gave me. Actually, mine was black around the edges.. not that it makes much of a difference. As it happened to be something I had never known how to use at the time, it was shoved into a random drawer. There it stayed for almost a year, before I decided to fiddle with it. I found it used a HD44780 Hitachi controller, which apparently is very easy to get up and running. And so with the help of some schematics on the web, I quickly modified and wired up a printer cable to connect to the LCD panel. I have absolutely no experience in software programming, so I utilised a very nice program, LCD Smartie, that some other person had written for the specific use of controlling an LCD panel using a computer. Getting it up and running was no hassle, and the thing worked first go. LCD Smartie, by the way, is friggin' awesome. The LCD panel scrolling through a welcome message that I hastily typed up. That date is the time when I photographed it. It is fed data from the computer clock. LCD Smartie has a wealth of features that can be used.. like showing the current status of your CPU chip, for instance. And... it can also download live data via RSS feeds off the internet, and display it immediately on the panel. The latest headlines automatically stream straight onto the display via RSS. The current song playing in a winamp list can also be displayed on the screen. That is an awesome song by the way. There is a limit of 20 different screens that it can move through. Each screen can be easily customised for whatever you want to know. Other features include current computer temperature, fan speed, screen resolution, and any RSS/XML feed that is available on the net can be streamed onto the display panel. A crap thing, however, is that it doesn't have a back light, so sometimes its tremendously hard to read (like at night). But hey, it was free, so who gives a damn. If you for some reason happen to have an old lcd panel with a back light off some random printer or whatever, I want to know about it! How about supporting Penguin's Lab huh? Pretty good cause.